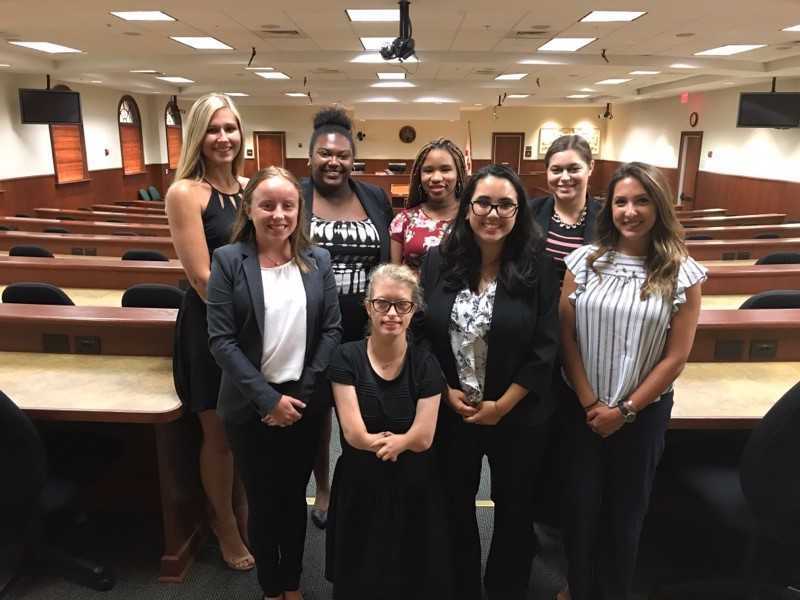 Eight UT Honors students recently began their involvement with the Bruce R. Jacob-Chris W. Altenbernd Criminal Appellate American Inn of Court. Inns of Court are organizations designed to improve the skills and abilities of lawyers, judges, and, in some cases, law students. Thanks to connections UT faculty have with the Bruce R. Jacob-Chris W. Altenbernd Criminal Appellate American Inn of Court, UT pre-law students in the Honors Program are able to attend the Inn of Court. On a personal note, I saw several of them speaking with a few of the judges from the Second District Court of Appeal (2nd DCA) last night. I was very impressed by our students’ professionalism. They handled the pressure beautifully and one judge even encouraged them to apply for internships at the courthouse!